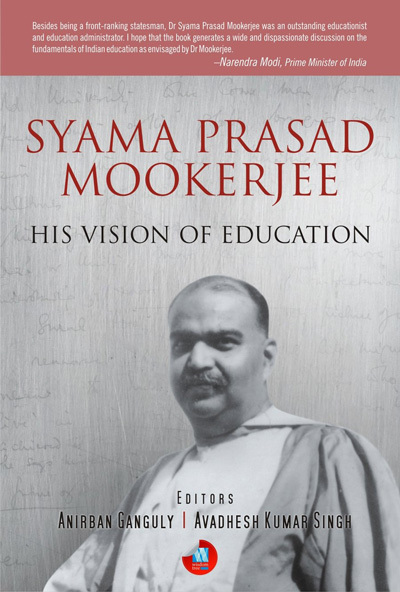 Dr. Syama Prasad Mookerjee has donned several hats in his illustrious public life.He was the Vice-Chancellor (VC) of Calcutta University, possibly the youngest ever, during a time when the university was at its glorious peak. He has also been Finance Minister in the government of undivided Bengal. Infact, as the then finance minister, he played a major role in providing relief to the victims of the terrible Bengal famine of 1943. He wasthe president of All India Hindu Mahasabha for a few years. He played aninstrumental role in saving the existing territories of the states of West Bengal and Punjabduringpartition.And, last but not the least, he was also the founder of Bharatiya Jan Sangh; a political party which is widely considered as the predecessor to the Bharatiya Janata Party (the “BJP”), the incumbent not only at the Center but across major states in the country today. However,that he was the first industry minister of independent India and as the industry minister he laid the foundations of India’s industrial policy is something that is not quite known. While it is true that Dr. Mookerjee’s role in shaping the nation is largely under-appreciated, I often wonder why this chapter of his life (as the first Industry& Supplies Minister) is not debated or discussed as much as it should have been. As I am no authority on Dr. Mookerjee’s life, I can only speculate someplausiblereasons. The first obvious pointthat comes to my mind is that most of us, who are keenly interested in the life of Dr. Mookerjee,think of him as a natural educationist. Following the footsteps of his father, Sir Asutosh Mookerjee, one of the most respected and renowned intellectuals of his time, Dr. Syama Prasad was alsonaturally more inclined towards education. He was not only a meritorious student himself, but also a great administrator. As VC of Calcutta University, he introduced vernacular in a field which was otherwise dominated by English.The second reasoncould possibly be because he resigned from his post prematurely. He stayed as a minister for a duration of only about two and half years. His disagreements with the Prime Minister, particularly overhispolicy towards Pakistan & East Bengal were well known. The situation was such that it became untenable for him to continue without compromising his position on the above issues. He thereforecould not seehis vision of industrialization shape out.Another possible reason could be that over a period of time, the governmentstarted bringing in licences, permits, quotas and other forms of controls in the industrial space. Such an approach was not consistent with Dr. Mookerjee’s beliefs.This ultimately stifled industrial ecosystem leading to the 1991 crisis.Finally the government had no other option but to dismantle the very layers of regulations and restrictions it had created over the years. That said, it’s a moot point as to why Dr. Mookerjee’s contribution in India’s industrialization is under-appreciated. A truefitting tribute for him would be to highlight his contribution as India’s first Industry minister. 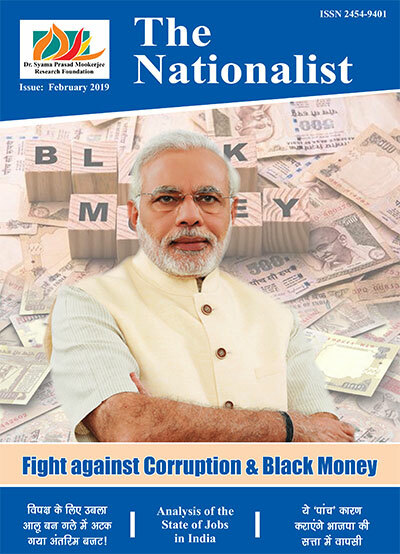 With the above context, the paragraphs belowattempt to articulate his vision of India’s industrialization and key accomplishments as independent India’s first Industry and Supplies Minister. On the day India attained its independence, Dr. Syama Prasad Mookerjee was made the Cabinet minister for Industry and Supply. Mahatma Gandhi and other senior leaders like Sardar Patel felt he couldlead such a strategically crucial ministry at such a fragile time in India’s history. They were not wrong. 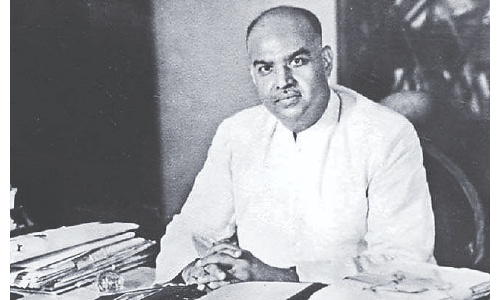 Shortly after assuming the office, Dr. Mookerjee laid out the country’sfirst industrial policy through a Government of India resolution dated 6 April 1948. Let me quote part of a paragraph from Prashanto Kumar Chatterji’srecent volume on Dr. Syama Prasad Mookerjee.This provides a good overview of his approach towards the country’s first industry policy. Chatterji says “He was convinced that in an industrially backward country like India, which had just achieved freedom, the primary task was to mobilise all resources, private and governmental, for a co-operative effort to make the country self-sufficient in essential goods, particularly those needed for the defence of the country. He was in favor of giving full scope to private enterprise under suitable government regulation and control, to play its part in India’s industrialization.….. He, thus, wanted a rational coordination, in the light of actual conditions in the country, between private and public enterprise for speedy but orderly industrialization of the country. In formulating this policy, he was guided solely by a realistic assessment of the needs and circumstances of the country and not by abstract theories or dogmas, to which he had no attachment…..Apart from the basic objections to total nationalization, he was convinced that India lacked the requisite resources, experience and trained personnel to nationalize all industries and still run them efficiently. He was, therefore, opposed to loose talk about nationalization of all industries which antagonized private capital. First,India to follow the path of a “mixed economy”: The policy envisaged India to follow the path of a “mixed economy”. In this aspect, roles and responsibilities from the government as well as the private sector were laid out clearly. This was based on a pragmatic assessment of resources, expertise, interests of private sector and priorities of the nation (including national safety, security, self-sufficiency etc. ).This also meant that the government was willing to take the private enterprise along for nation building. Second,State (all levels of government including the union, state, provincial and municipal) to primarily drive development of some segments of industries: Industries was classified into three different categories basis theexpected role of State. Development of first category of industries was to be solely led by the State. This category included strategic sectors where private sector investment was not forthcoming, mainly arms & ammunitions, atomic energy, river valley projects and railways. The second category included those where the State was responsible to take primary lead.However, the private sector was to extend cooperation as required and subject to controls and regulations. This included coal, iron & steel, aircraft, telephone, telegraph, wireless, ship-building and mineral oils.The third category comprised remaining segments where private sector was expected to take a lead subject to regulations. This included industries such as fertilisers, cotton & woolen textiles, paper and newsprint etc. Third, the model of intervention to be a public sector corporation (PSC) led industrialization: The policy provided for state intervention to be through a public sector corporation / public sector undertaking. Dr. Mookerjee could foresee the extent of inefficiencies and lethargy absolute state-control could bring if the departments/ministries lead the initiatives. Therefore, the model opted was through corporations where the government provided the share capital while the executive leadership were to be comprised of government’s nominees and private sector industrialists. Fourth, specific emphasis on promotingsmall scale and cottage industries and acknowledging the inter-linkage between these industries and the large-scale sector: Another visionary aspect of his policy was the specific emphasis on developing the nation’s small scale and cottage industries. Dr. Mookerjee understood the importance of small scale and cottage industries and proposed measures to enhance co-ordination and integration of these segments with large scale industries. He also laid a path to establish dedicated institutions such as Cottage industries board, cottage and small scale industries directorate, All India Handicrafts board, All India handloom board and Khadi & Village industries board to push development of these industries. While the above policy created a solid base for the industrial journey of the nation, he could also accomplish remarkable progress at the ground level. Dr. Mookerjee played a crucial rolein getting large-scale projects successfully kick-started within his short tenure of about two and half years.These projects included: (a) the Chittaranjan Locomotive Works factory at Chittarajan (for manufacturing electric locomotives); (b) the Hindustan Aircraft Factory Bangalore (the predecessor to Hindustan Aeronautics Limited (HAL) Bangalore); (c) Sindri Fertilizer factory; (d) Damodar Valley Corporation and (e) Hirakud Dam Project at river Mahanadi in Orissa. Dr. Mookerjee also conceived plans to set up steel factory at Bhilai (Chattisgarh), a newsprint factory (the National newsprint and paper mills Ltd.) and also set-up robust institutional mechanisms for handloom industry, cotton textile industry and other small scale and cottage industries. Infact, Dr. Mookerjee’s success in kicking theselarge projects offwithin a short timeshowed the nation how to implementsuch development initiatives going forward.Given the scale, size and strategic importance of these projects, these projects have played and still continue to play a major part in the journey of Indian industrialization. It’s therefore not surprising thatthey are still considered as landmarks in India’s industrialization journey. They are a live testimony to the proud legacy that Dr. Mookerjee left as the first Industry and Supplies minister of independent India. While these developments were playing out, his differences with the government and particularly with the Prime Minister started growing significantly. It reached a stage where it became untenable for him to continue as a minister as he could not endorse government’s policy towards Pakistan. Finally, he resigned from his post on 6 April 1950. That set the grounds for the next stage of his public life: the establishment of a new political platform, the Bharatiya Jana Sangh. 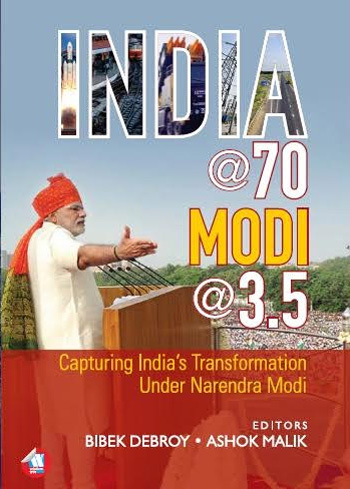 The nation witnessed several structural changes in and around 1950 and the next few years thereafter. The Constitution was adopted. It accepted socialism as part of the larger socio-economic imperatives of the government. Planning model was adopted for pursuing development. Planning Commission was accordingly set-up shortly before Dr. Mookerkee resigned. The first five year plan kicked off in 1951. Few years later, in the year 1956, the government came out with a new Industrial Policy Resolution (dated 30 April 1956). This resolution built upon the first industrial policy and called upon the State to play further dominant role in several segments. All these measures led to creation of large scale industries, dams, railway projects, cottage and small scale industries etc. Problems started creeping in when, during 1970s,the government started tightening its grip over industries and started restricting development through more and more licenses, permits, quotas etc. This direction was finally reversed in 1991, when the then Prime Minister (who was also the Commerce & Industries minister) decided to liberalize and dismantle government control. 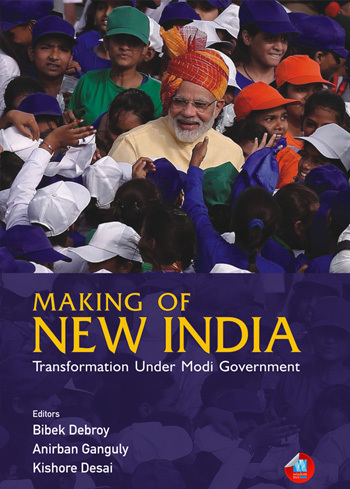 From the perspective of industrial policy, the situation has now evolved substantially. Almost all sectors are now open for private investment. Foreign Direct Investment (FDI) rules are highly liberalized. While government continues to play a dominant role in few strategic segments such asdefence, railways, coal, electricity etc., private sector plays a major role in most others. Infact itis a dominant force in segments pertaining to the new economy (services, IT, e-commerce,smart manufacturing, pharmaceuticals,emerging technologies such as machine learning/artificial intelligence etc. ).If one takes a step back here, it won’t be difficult to sense that this is precisely what Dr. Mookerjee had envisioned. He dreamt ofcreating aneco-system where private and public sector collaborate in a manner that optimizes each other’s resources, efficiencies and expertise. After articulating his vision through the first industrial policy, Dr. Mookerjee dedicated most of his time to implementing projects on ground. The fact that many large scale projects kicked off (and some got commissioned as well) during his tenure prove that he was a doer to the core. His achievements as the Industry minister tell us that not only was he a sharp intellectual but he also was a great administrator; someone who brought on the table a problem solving attitude, pragmatic outlook and relentless focus on getting things done. These accomplishments speak volumes about his leadership and administrative acumen. To pay his tributes, Prime Minister Shri Narendra Modi alsoechoed his thoughts on Dr. Mookerjee’s contributions, shortly before the nation celebrated his birth anniversary on 6th July 2018. One can notice that the countryis now acknowledging and debating Dr. Mookerjee’s life, probably more than ever. I sincerely hope that this continues and his contributions get the due attentiontheyrightly deserve.